The EB-5 federal program that makes foreign investors eligible for visas expires Wednesday, and proposals to reform the controversial capital-raising mechanism could bring major changes. A manufacturing center in Kent, a Seattle senior-housing development and a vineyard in Horse Heaven Hills are among the businesses whose financing could be disrupted if Congress fails to extend a federal program that has attracted billions of dollars in capital from immigrant investors. The program that allows companies with federal licenses to raise capital from foreigners seeking an EB-5 visa expires Wednesday. Nationally there are more than 730 federally approved firms, refered to as “regional centers,” that can raise money through the program and channel it into projects, most often in real estate. In the Senate, lawmakers have proposed extending the regional-center program until Dec. 11 as part of a continuing resolution that would avert a shutdown of the federal government. But the resolution’s fate is uncertain. Assembly plant: A manufacturing center in Kent for assembling LED products. Homes: A Seattle luxury home-building venture is expected to create 323 jobs in the area. Assisted living: Seattle-based Zenith Capital is raising $10 million in EB-5 funds for a $24.8 million project in Covington. Winery: Seattle-based Pacific Viniculture seeks $10 million in EB-5 capital for a new, 500-acre vineyard and winery. Hotels: Puyallup-based Absher Construction is building hotels in Des Moines and Tukwila funded by EB-5 capital and has at least two large Tacoma projects in the early stage. Immigrant investors overwhelmingly rely on regional centers to obtain EB-5 visas, contributing $500,000 to a project that creates at least 10 full-time jobs. Washington state is a key player in the EB-5 industry: More than 40 regional centers are headquartered here. Seattle-based American Life, one of the most prolific developers using EB-5 financing, has been an industry pioneer since 1996. Map and data: Many high-profile projects in the Puget Sound region have been funded with EB-5 capital. EB-5 visas represent about 2 percent of all visas issued to immigrants seeking to live permanently in the United States. Supporters of extending EB-5 claim it benefits the economy, too. The EB-5 Investment Coalition says that in 2013, the program generated at least $1.6 billion in private investment and 31,000 jobs, according to a report it commissioned. “This is private capital coming to America because of the federal government bestowing a public benefit, which is certainly of significant value,” said Steve McMillin, co-author of the report and partner in US Policy Metrics, an investment adviser. The regional-center program exploded in popularity among real-estate developers after the economy crashed in 2008 and traditional sources of capital dried up. About three quarters of today’s regional centers were approved since 2013. Because of the EB-5 program’s complexity, many are still in the middle of raising capital or waiting for government approval of immigrants who’ve invested. 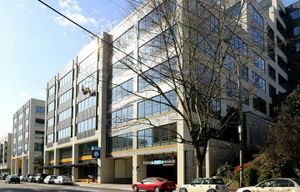 Nationwide, these regional centers had more than 450 commercial projects in the pipeline at the end of February, according to a Seattle Times analysis of data obtained from U.S. Citizenship and Immigration Services. EB-5 funds play a role in some of the nation’s most high-profile current real-estate projects, such as Hudson Yards in Manhattan and Treasure Island in San Francisco. EB-5 capital is also financing business activity, such as the construction of four tankers at a Philadelphia shipyard. Stamper said his Seattle Regional Center is in the middle of several offerings to EB-5 investors that would be affected if the program isn’t extended. Among them are a Kent manufacturing facility to assemble LED products, expected to create 244 jobs, and a Seattle luxury home-building venture that’s expected to create 323 jobs, he said. Lawmakers are now looking at overhauling the regional-center program in part because of a harshly critical report in August by the Government Accountability Office (GAO), a watchdog for Congress. Aside from extending the federal program by five years, a bill sponsored by Sens. Patrick Leahy, D-Vt., and Chuck Grassley, R-Iowa, would require background checks of regional-center owners, pay for fraud investigations and raise the minimum EB-5 investment to $800,000. It also would crack down on gerrymandering of “targeted employment areas,” which are state-designated areas where the jobless rate is at least 150 percent of the national average. The Seattle Times documented the industry practice in March. Virtually all EB-5 promoters pick projects in targeted areas because it’s easier to attract immigrant investors, who get a visa for $500,000 — half the amount required outside of these zones. The Senate bill attacks gerrymandering by revising the definition of a targeted area: Rural areas and closed military bases are eligible, but in urban areas, the geography is limited to a single census tract with a jobless rate that’s at least 150 percent of the national average. That would make it much harder, if not impossible, for a developer to build towers in Manhattan or downtown Seattle with EB-5 money. Moreover, the bill requires that at least 50 percent of the jobs created by an EB-5 project be located within the targeted area. Currently, there is no restriction. Jahangiri, the trade publication editor, says these changes would destroy the current program. Audrey Singer, a senior fellow at the Brookings Institution who has studied the EB-5 program, says changing the targeted-employment area would ensure the program actually supports the communities it’s intended to benefit. Singer also says EB-5 projects should be required to collect data documenting the claims of job creation.